Bridges have always been something that many civilizations have had trouble with. What with the bridges having being able to withstand weather, floods, and also being strong enough to hold up to travelers and an army. The Romans were given the credit of having the “first and longest lasting bridges built” (Wikipedia) in first and second century AD. As shown in the below picture, the Romans are able to put a lot of weight on their bridges that are even still up today. Marcus Ulpius Traianus, the Roman Emperor known as Trajan was born in about 54 AD in Spain. He was the son of a Consul which made him royalty. Due to his exceptional public and military reputation he was chosen to be the successor of Nerva who adopted him in approximately 98 AD. Shortly after his adoption, Emperor Nerva died and Trajan became the Emperor. 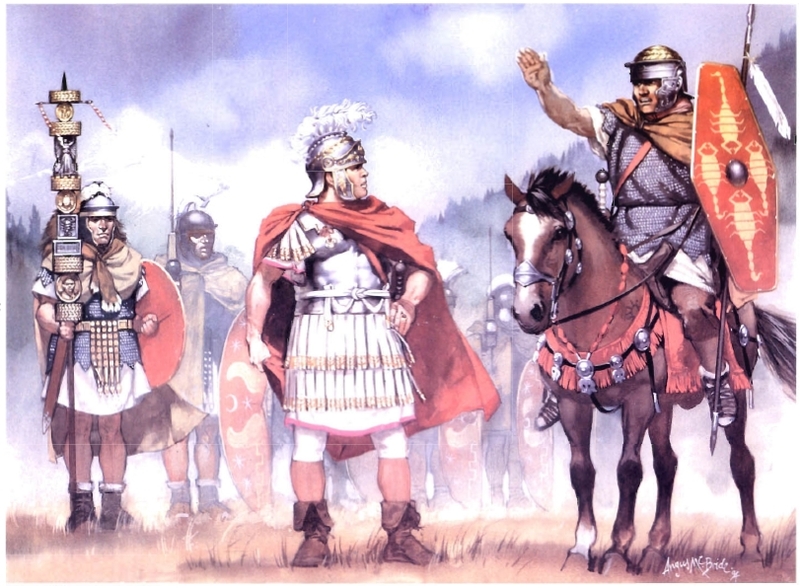 Just three years later Rome would embark on the first of two wars with the Dacians (Germanic barbarians) who lived across the Danube in what is now known as Romania. The leader of the Dacians was by Decebalus. 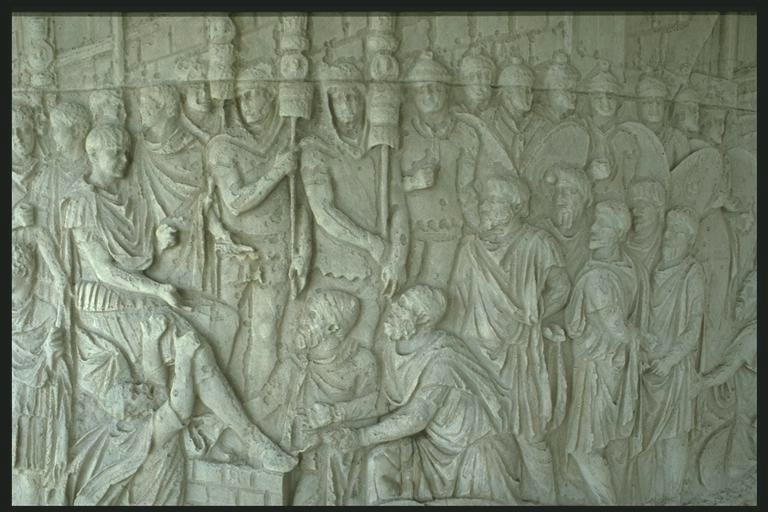 Emperor Trajan’s lead the Romans to victory in both wars (Beckman, 1998).Trajan’s Column is a monument located Rome, Italy and was created to commemorate Rome’s victory in the Dacian Wars. 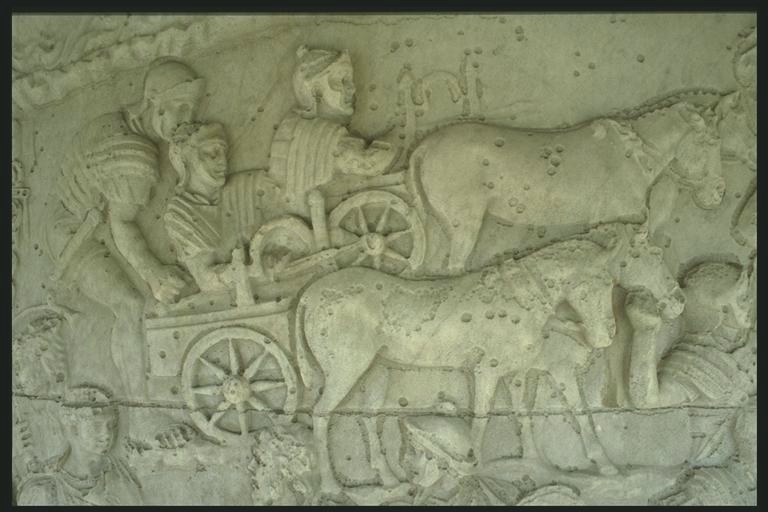 Emperor Trajan was the leader of the Roman Army and he is the subject of many of the etchings which depict the Roman army in their daily activities as well as when they were in battle with the Dacians (Trajan’s column, 2012). 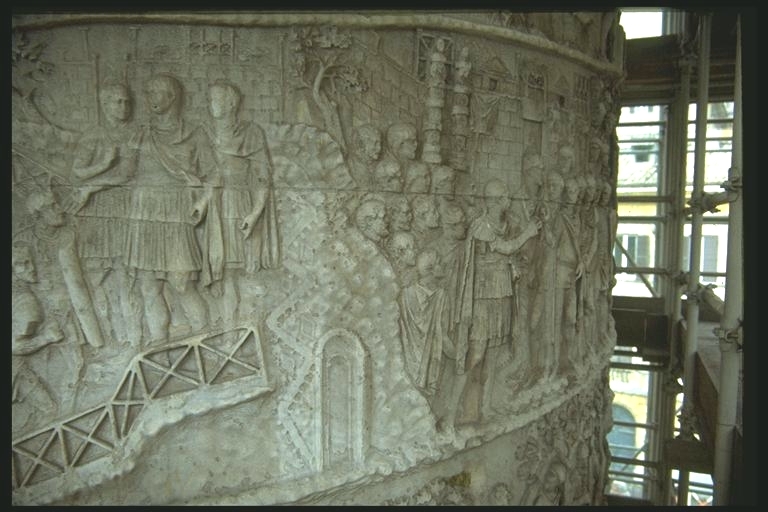 This section of the column below to the left depicts Trajan standing on a bridge welcoming his soldiers on the left. Upon close examination of the section the construction of the bridge is apparent. 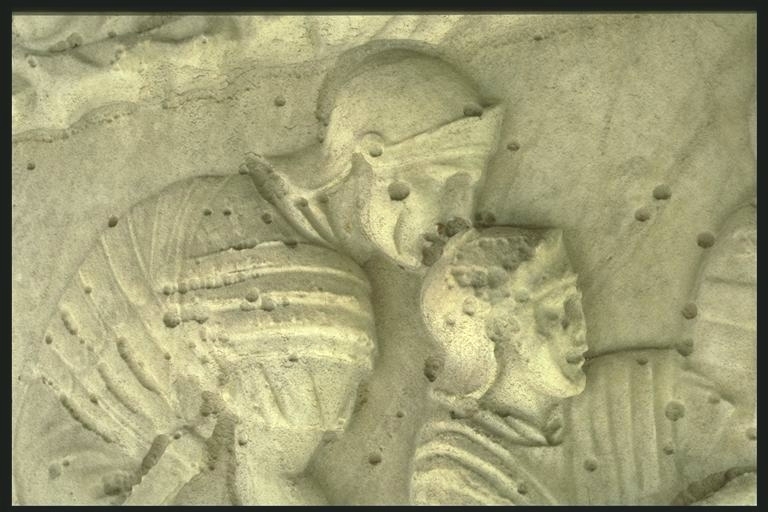 Also, notice how the soldiers are wearing their armor. 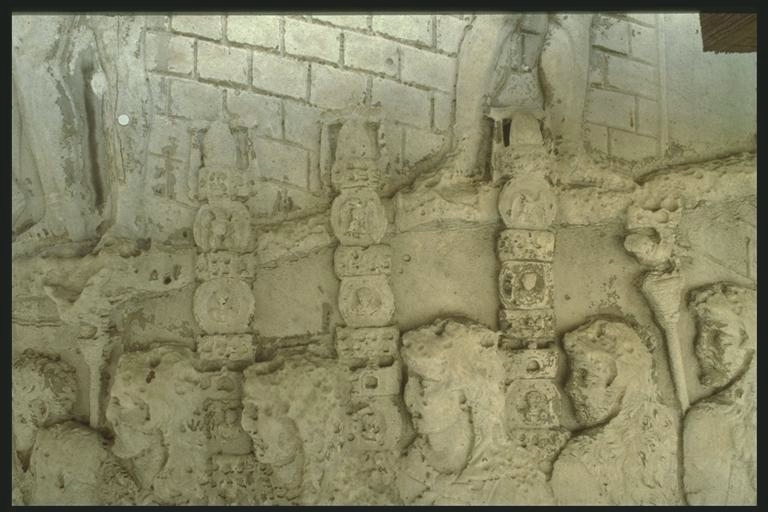 The soldiers are depicted standing lower that Trajan and his advisors. 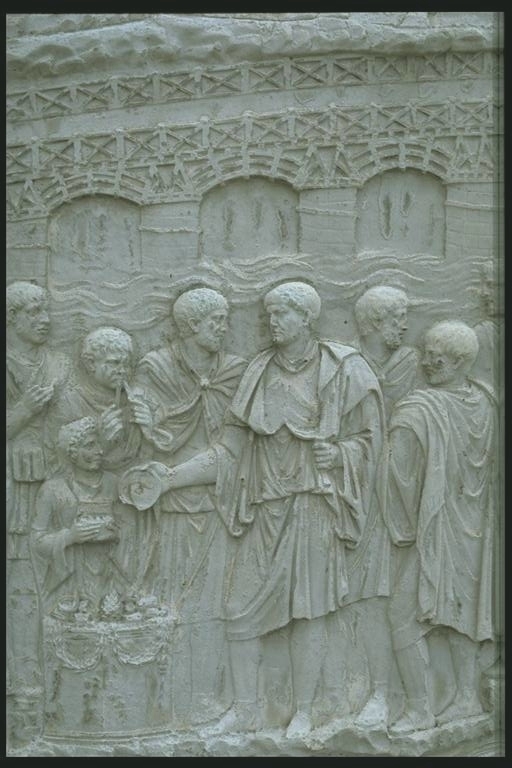 Trajan arrives at a campsite and is conversing with the soldiers. Here the soldiers are dressed more casually. 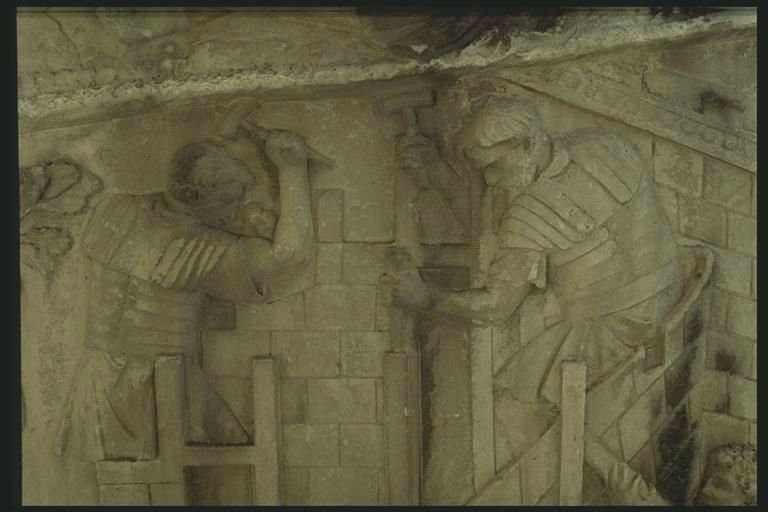 The construction of the walls which the Roman soldiers are famous for is clearly shown in the background (Rockwell, Trajan interacting with his soldiers, 1980-1990). In the section of the column to the right, the army is standing in front of a fort on a bridge. 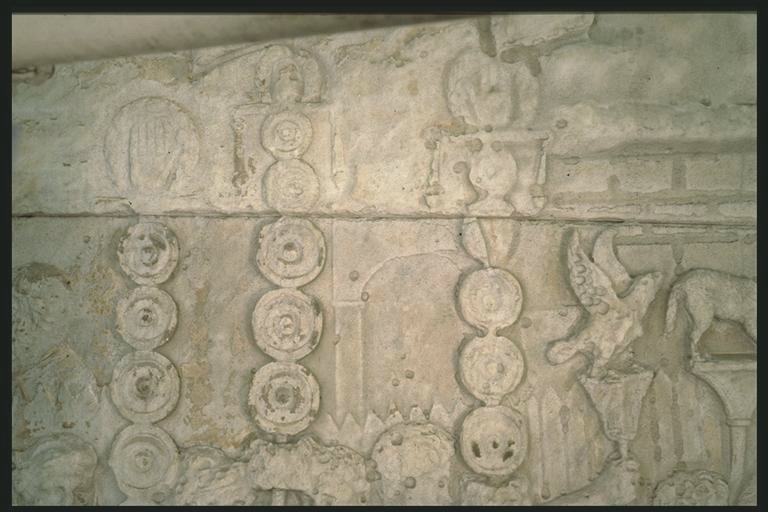 Trajan appears to be offering a sacrifice in their behalf. He is bare headed and in wearing what is known as military undress uniform. He appears to be pouring something on the alter. The people standing around Trajan seem to be at ease and there is also a small girl known as a camulis standing by with a incense box. There is at least one high ranking officer standing next to Trajan. 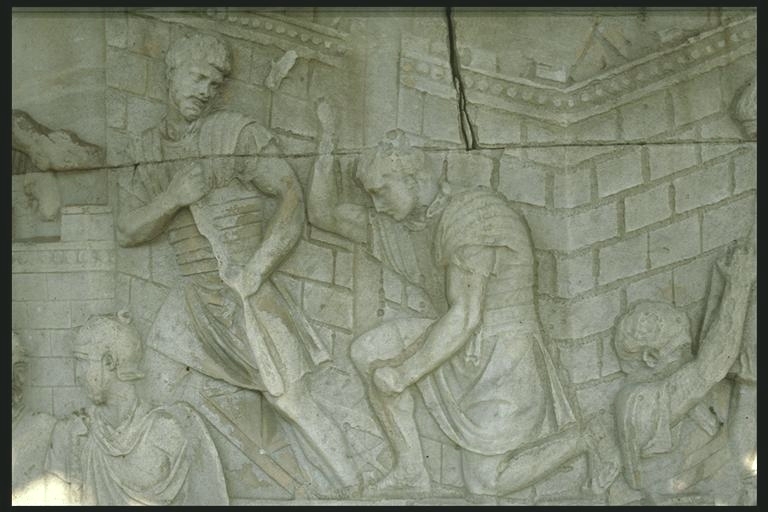 (Rockwell, Trajan sacrificing by the danube, 1980-1990).